The HyDROS laboratory is a proud part of the University of Oklahoma (OU). We are located in the National Weather Center (NWC), Norman, Oklahoma. The HyDROS Lab is associated with the Advanced Radar Research Center (ARRC), Water Technology for Emerging Regions Center (WaTER), and the School of Civil Engineering & Environmental Science (CEES). The HyDROS Lab is a transdisciplinary research unit with synergy at the interface of remote sensing technology, water, weather, and climate. Scales of interest for modeling and prediction include the local, state, regional and global scales. Environmental remote sensing plays a critical role in observing key hydrological components such as precipitation, soil moisture, evapotranspiration and total water storage on a global scale. As water security is one of the most critical issues in the world, satellite remote sensing techniques are of particular importance for emerging regions which have inadequate in-situ gauge observations. 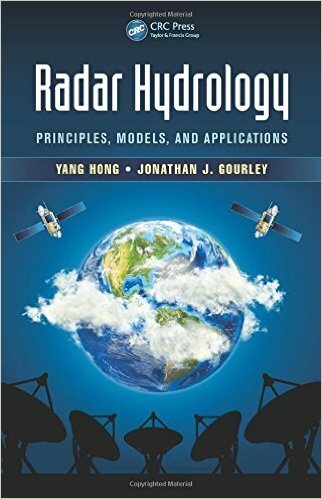 This book reviews multiple remote sensing observations, the application of remote sensing in hydrological modeling, data assimilation and hydrological capacity building in emerging regions. In many countries that experience frequent natural disasters such as floods, droughts, and earthquakes, it may be argued that floods are among the most devastating of them all, claiming more lives and causing more property damage. Additionally, in most cases, floods seem to follow droughts and vice-versa, as both disasters are subject to similar extreme weather and climate conditions. The recurrent nature of these natural disasters is also alarming. 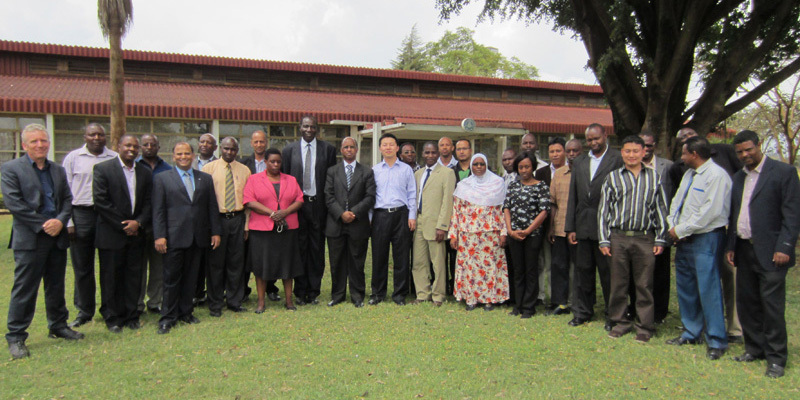 Consequently, RCMRD in partnership with the University of Oklahoma is conducting a four-day training workshop on the Ensemble Framework for Flash Flood Forecasting (EF5) in Nairobi Kenya from 7-10 February, 2017. 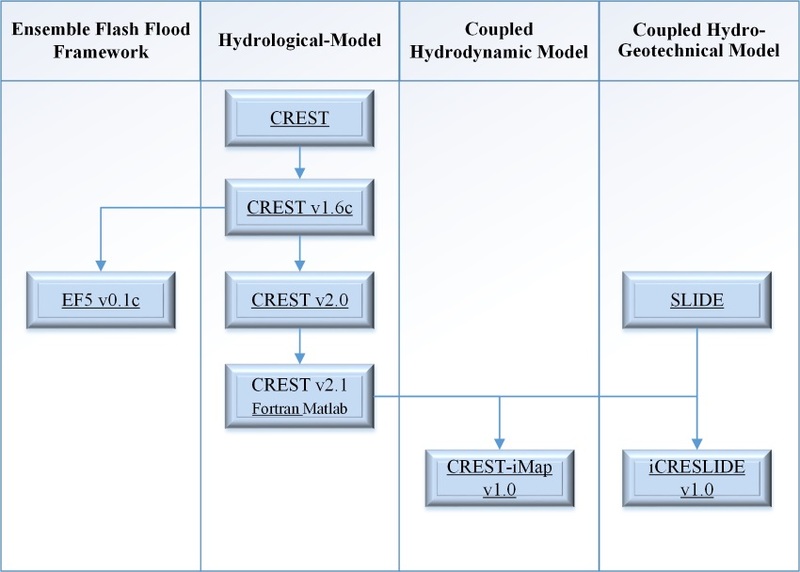 EF5 is a hydrological modeling software that allows users, including non-hydrologists, to monitor and forecast hydrological conditions like floods and droughts. The training entails introduction to hydrological concepts, Geographic Information Systems (GIS) techniques, remote sensing of hydrological quantities, and use of the hydrological model output for various tasks. It is anticipated that by the end of the training users will understand basic hydrological and modeling concepts and how GIS software can be used in hydrological analysis. HyDROS' Grand Challenge is to observe and predict the storage, movement, and quality of water across space-time scales by integrating advanced sensing technology and numerical predictive models into an end-to-end research and application framework. 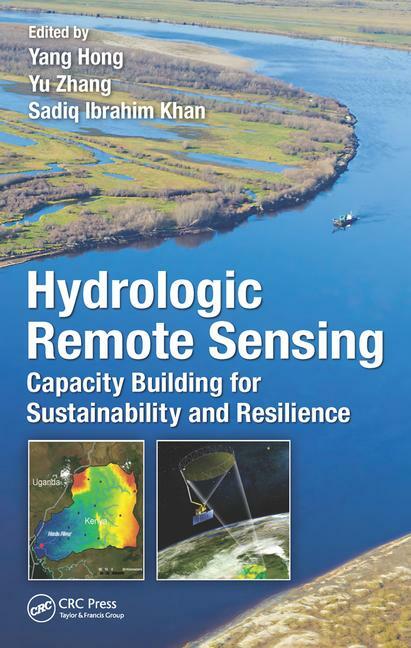 HyDROS' Mission is to propose technological solutions for mitigating the impacts of climate change and natural hazards through interdisciplinary research and education by using the latest remote sensing technology, information technology, and hydrological models in collaboration with private and public organizations at both local and international levels for the creation of a resilient society. We will pursue our Grand Challenge and Mission through transdisciplinary research and education involving faculty, students, and scientists with Engineering, Sciences, Math, and Socioeconomic Sciences backgrounds as well as cooperation with universities, governmental agencies, private companies/industry, and international counterparts. We are always looking for talented and enthusiastic students and researchers. We have advised students major in Civil Engineering, Hydrology (Water Resource Engineering), Environmental Science (Water Track), Geography, Meteorology, Computer Science and Geoinformatics. For general information on the Graduate Programs, please visit the web site of Graduate College and respective Departments for application meterials. 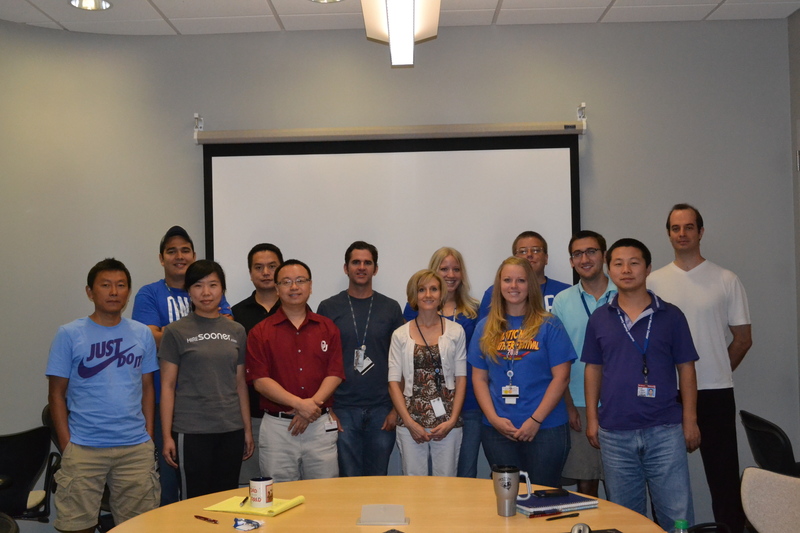 If you wish visit HyDROS, please contact yanghong@ou.edu for more information.